Last Friday, SAIS hosted Ambassador-at-Large for Global Women’s Issues Melanne Verveer to launch its “Championing Women Globally” lecture series (a project of the SAIS Center for Transatlantic Relations, in partnership with the Embassy of Liechtenstein and its Ambassador, Her Excellency, Claudia Fritsche). 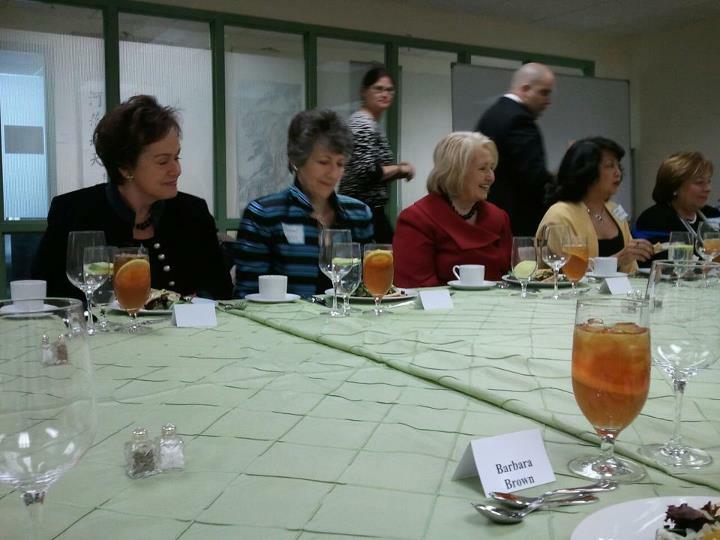 Afterward, I joined Ambassador Verveer (in red in the photo) and a glittering group of gender equality experts and advocates (including, from left, Ambassador Fritsche, Senior Fellow Susan Ness of CTR, and Irene Natividad of the Global Summit of Women) for a fascinating lunch. What was on the minds of these “power women”? How to get women onto America’s corporate boards. The group bemoaned the low representation of women on corporate boards and brainstormed ideas on how to get more women into these key leadership positions in U.S. private enterprise. Entry filed under: Uncategorized. Tags: Andras Simonyi, Center for Transatlantic Relations, Championing Women Globally, Claudia Fritsche, CTR, Embassy of Liechtenstein, europe, Global Summit of Women, Helping Women Helps the World, Irene Natividad, Liechtenstein, Melanne Verveer, SAIS, State Department, Susan Ness, women, women in business, women's development.